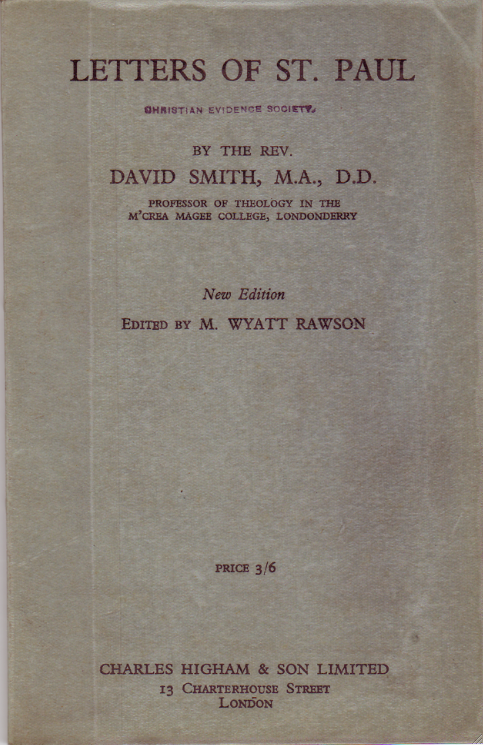 Click here for sample verses from the version by David Smith. Contents: Paul's Epistles (without Hebrews). 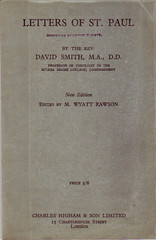 Editor's Introduction. 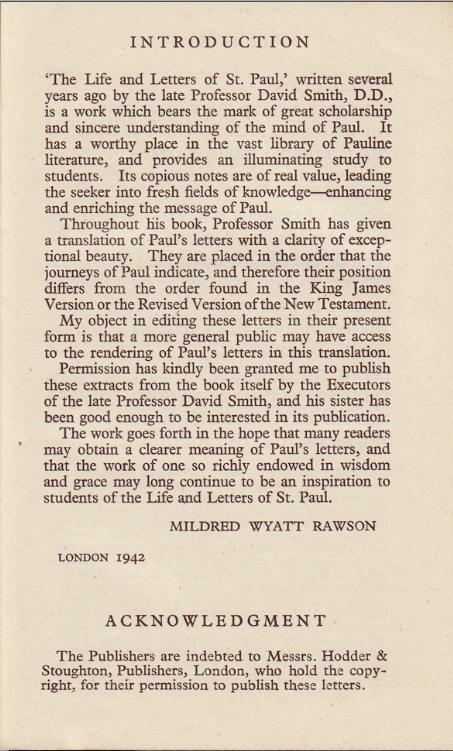 Letters are placed in the order that the journeys of Paul indicate. Comments: Paperback small- 8°, 108 pp. Letters to Corinth subdivided into four parts. Doesn't include the letter to the Hebrews. Chapter and verse numbering given, cross references in the margin.